Your costly phone needs extra protection and style as you don’t want to do any damage. This ‘Craft Cases UltraSlim Pattern Shell’ for Samsung Galaxy Note keep your superphone free from harm. This case made from Tough polycarbonate, it has a scratch resistant coating which help prevent any damage to the case itself. This phone case not only save your device from damage but give you a classic look, The pattern across the back of the case provide stylish design to your phone. Designed specifically for the Samsung Galaxy Note, this case offers a perfect fit for your device. It also features cut-outs for all the ports, buttons and camera, so you can access all the functions of your phone without having to take it out of the case. 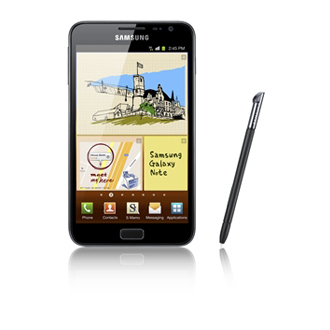 Samsung Galaxy Note has incredibly large screen, large screen means that more change to get scratches on it. Screen protector guards your smartphone against scratches, smears, dust and dirt, and keeps your LCD screen in perfect condition. ‘ArmorSuit MilitaryShield’ keep your device away from any scratches. It also provides erosion and impact protection i.e it protect Samsung Galaxy Note from paint, sand, dust damage. You can use Samsung Galaxy Note as a navigator or t.v while travelling in your car but for that you need a car dock. The In Car charger and Holder for Samsung Galaxy Note is comes up with lightweight charger which charges your phone quickly and a car holder with a highly flexible neck which help you to mount you phone in the car. Share your experience with us about Galaxy Note and if you’re using some other accessories let me know i’ll feature here. The phone is really big, but with one of the leather cases for Galaxy Note it looks great, especially Valentinus. There is another useful Accessories for Galaxy Note. Where can i get a belt pouch for Note?